We want to be absolutely certain that our donors are supporting credible and trustworthy projects - and that money is going to the right places. So before we take on any partner, we rigorously assess and vet them. While local humanitarians are skilled in their area, most will have no experience of running crowdfunding campaigns (or dealing with donors from around the world). We provide them with mentoring and support on fundraising and all the things that come with it. 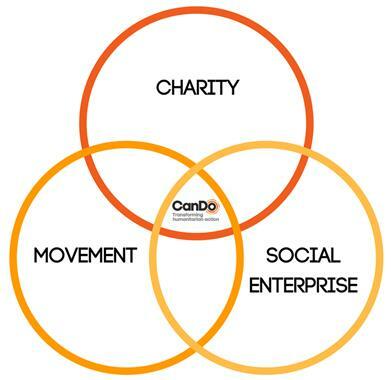 Accountability is central to CanDo. Our vision is all about channelling contributions more efficiently to save lives. To do this, we monitor our local humanitarian partners so that donors have full confidence that their support is having an impact. This means measuring, testing, impact assessing and helping refine their campaigns. £100 goes to the local humanitarian. And £10 goes towards the work that we do.